I decided to pick up a Sig Sauer MCX Rattler back in July. I really struggled to figure out exactly what I wanted to put on as an optic and mount. I looked at various Aimpoint and Trijicon optics. After searching around I decided to go with an RMR because it was low profile and quick to pick up with your iron sights, plus they are nearly indestructible. 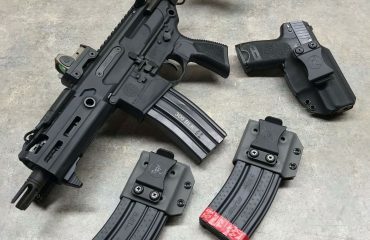 I looked at a few different mounts for the RMR, and they all seemed like lightweight choices, but when I saw the ANVL Ukon, I was interested in it because it had back up sights built into the mount. These backup sights are designed to be in the same focal plane so picking up the irons with the red dot is extremely quick. The Ukon mount is a simple one piece mount that is simple to install with an allen wrench. I had the RMR mounted and the mount installed onto the gun within five minutes. The rear sight has checkering built into it, so there is no glare present during the day. The Ukon is perfect for PDW or smaller weapon systems which is why I decided to throw it on my Rattler. 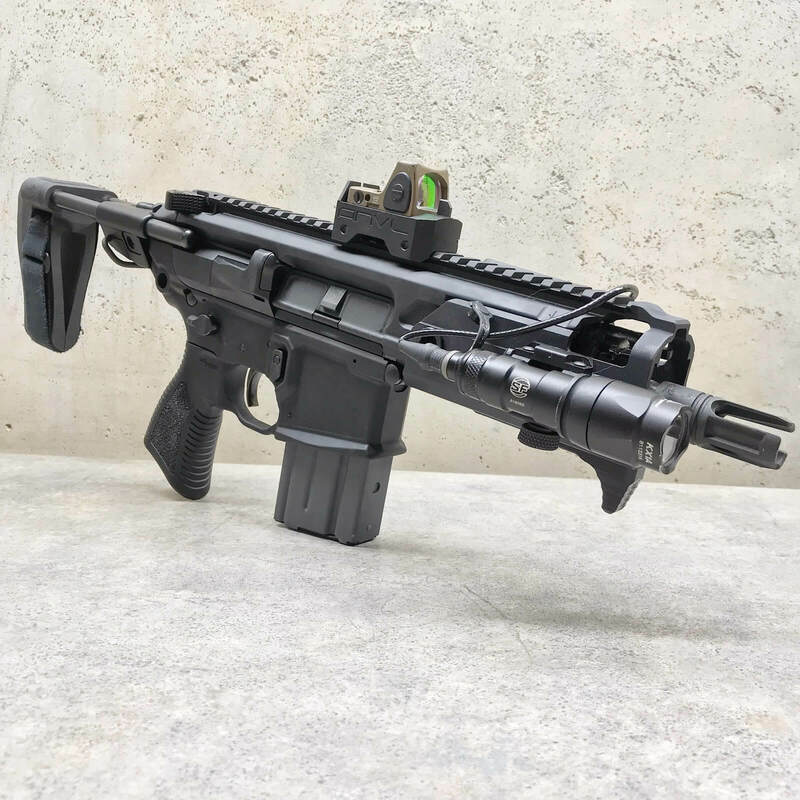 This mount was originally designed to be used with the MCX Rattler for special operation teams who wanted a PDW that was low profile, had backup sights without snag points, and in the smallest package possible. The mount system gave those special operations teams a way to get rid of the backup iron sights while keeping an option to put rounds down range effectively if your optic goes down in the field. This is where the mount really shines because it does just that. 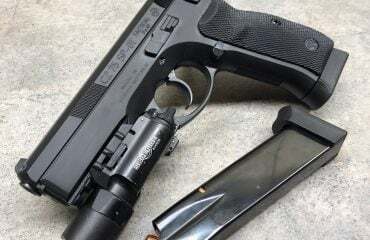 It gives the user options to make more accurate shots by using the irons and the red dot together or gives the user an option incase the optic fails at the wrong time. 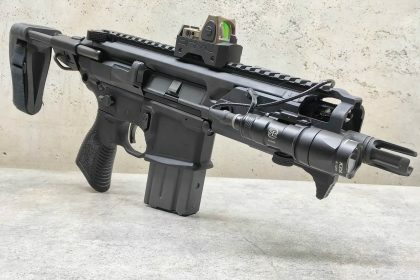 Right now the Ukon is only available for the Trijicon RMR but if demand is high there may be other options that come to market. I’ve had the chance to take my MCX Rattler on three range trips so far and each time I realize how useful this compact mount can be. 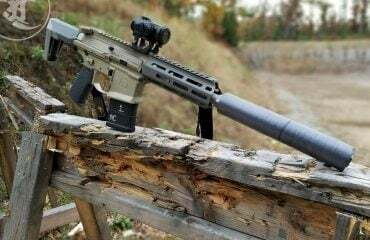 The MCX Rattler does not have a good place to have a consistent cheek weld. This caused me to get right around 1.5 MOA but when I started using the Iron sights in conjunction with the Red dot my group went down to .5 MOA at 50 yards. The back up iron sights give the shooter a reference point they might not otherwise have with just a red dot. In short it’s useful to say the least. The beauty of this system is you can forget the iron sights if you need to do a quick reflex shot and use the iron sights for more precise shots. The built in iron sights are not intrusive if you don’t want to use them, and they can be adjusted if you need to do that. Overall, I’m really happy with my Anvl Ukon mount so far. The mount is built like a tank and super functional for the size of my Rattler. It solves the problem of having useful backup sights in the smallest possible package. It is very well built. At $199 (slightly more affordable at OpticsPlanet), might not be the cheapest mount on the market, but I would argue it’s one of the best for the money. I will keep the Ukon mount on my MCX Rattler, and will do update blogs for you guys so I can give you more info about the mount as I use it. If you have any questions or comments please feel free to leave a comment below or shoot me an email, and as always stay safe out there!